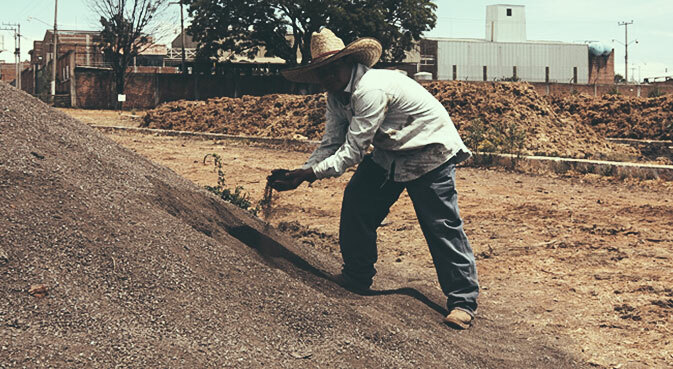 The concept of sustainability was very strategic in the selection of our tequila production facility. The facility not only had to be capable of making an award winning product, but also had to meet requirements for organic production and overall sustainability measures – being a kind partner to the environment and local community. A complete recapture of all production waste is performed and yields a nutrient-rich soil supplement to the local farming community. Furthermore, as a by-product of waste collection & processing, methane gas is captured, creating an energy source utilized to power the facility. All outputs from the production process, which include fibrous waste from the agave plants and liquid by-products from production are evacuated from the facility with separation of solids and liquids. We are extremely committed to being a kind partner to the local communities throughout the creation of Dulce Vida tequilas. The local farming community benefits with support for sustainable growing practices – utilizing no herbicides, pesticides, genetically modified organisms or other harmful production manners. Additionally, we implemented a bio-compatible waste program to further protect the environment. The liquids are pH balanced and added to the solid wastes to create a multi-step compost process. Ultimately, the output of this process yields an organically inert, ultra-rich soil nutrient. This soil supplement is returned to the local farming community to improve soil and growing conditions.